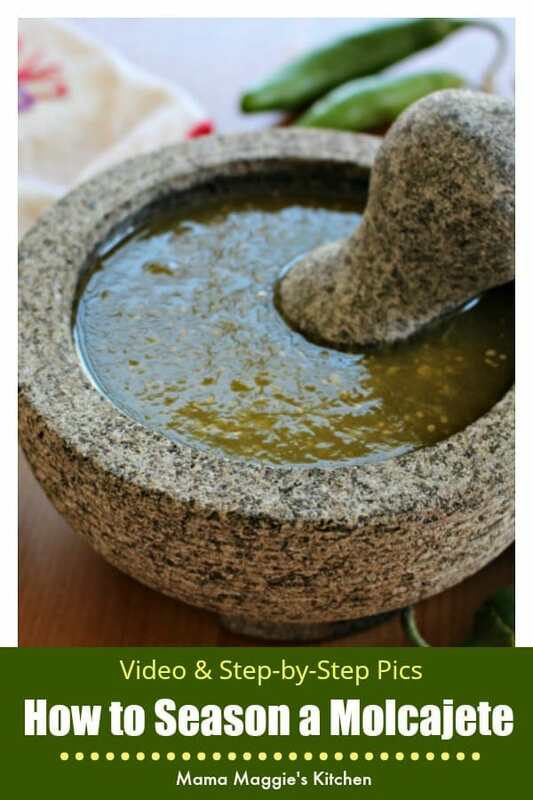 Watch the VIDEO or follow the step-by-step tutorial on how to season a molcajete. Once you’re done, it will be ready to make delicious Mexican food. 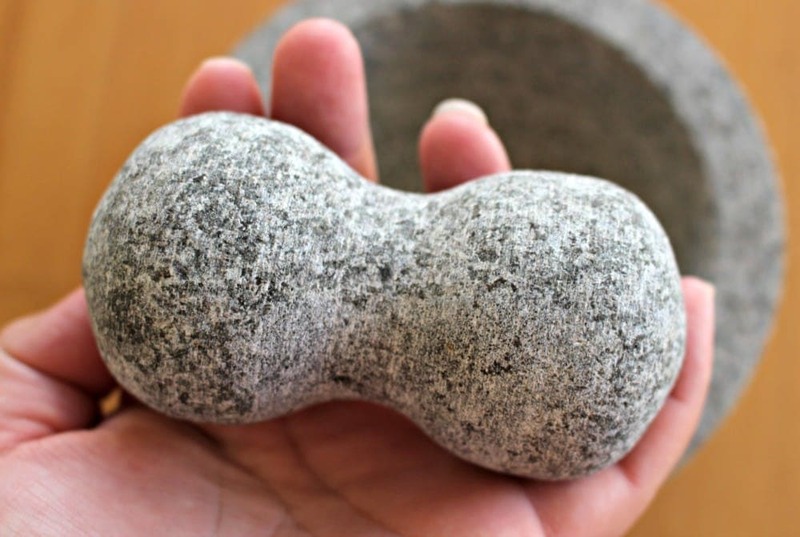 In short, a molcajete is a Mexican mortar and pestle. It dates back … wayyyyy back… to thousands of years ago when the Aztec and Mayans were the main guys in Mexico. 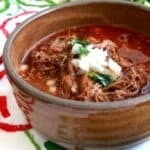 It’s used to crush spices and make salsas, but first, you need to “cure” or “season” it. 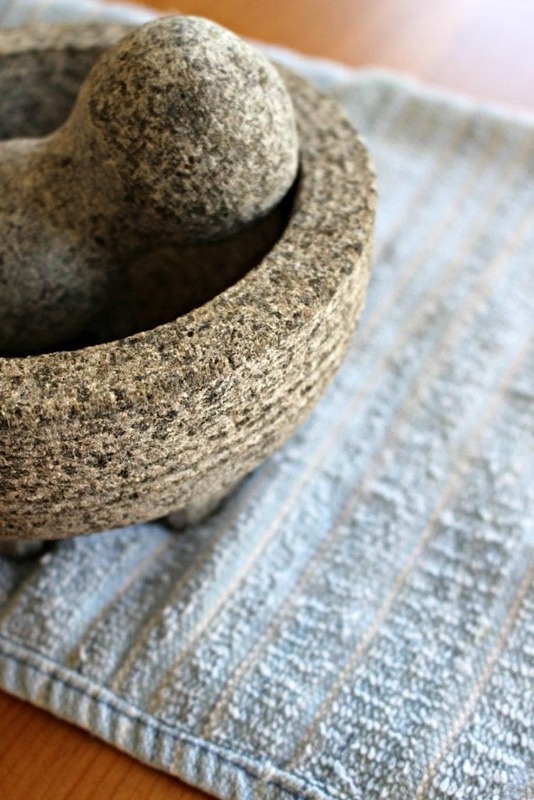 Start by placing a towel underneath the molcajete. This will help prevent it from moving around and scraping your table. 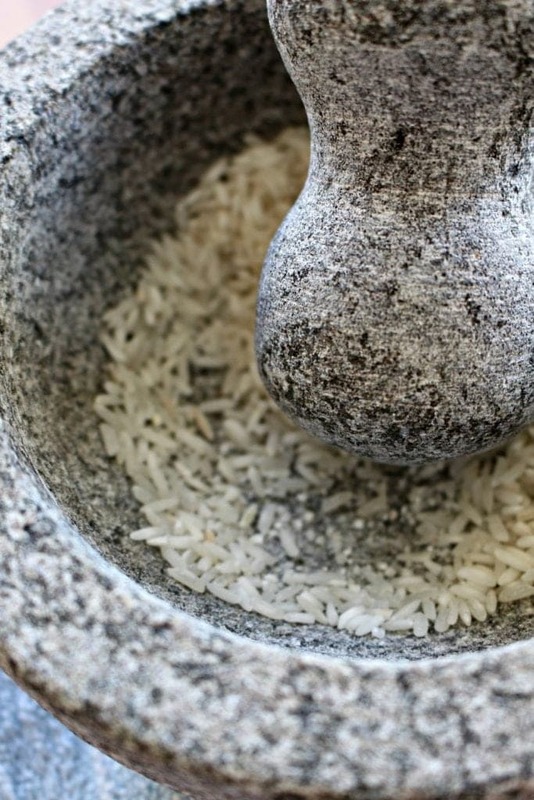 The traditional and most common way to season a molcajete is by using white rice. 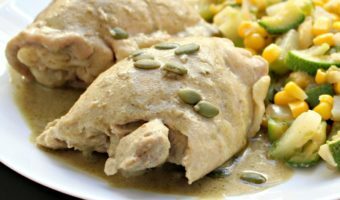 You can also use cumin seeds, dried corn, or dried beans. White rice, I find, is cheap, and it is far easier to tell if it’s ready with a white substance. 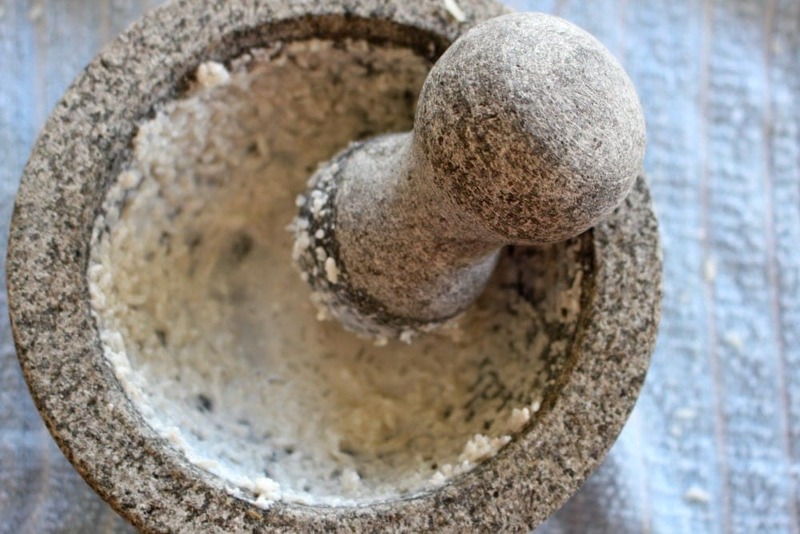 To season a molcajete involves A LOT of grinding. Don’t be afraid to get in there. Grind away! Just don’t bump and grind. Wink. Wink. 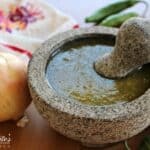 You also want to work your way up the sides of the molcajete and not just the bowl. 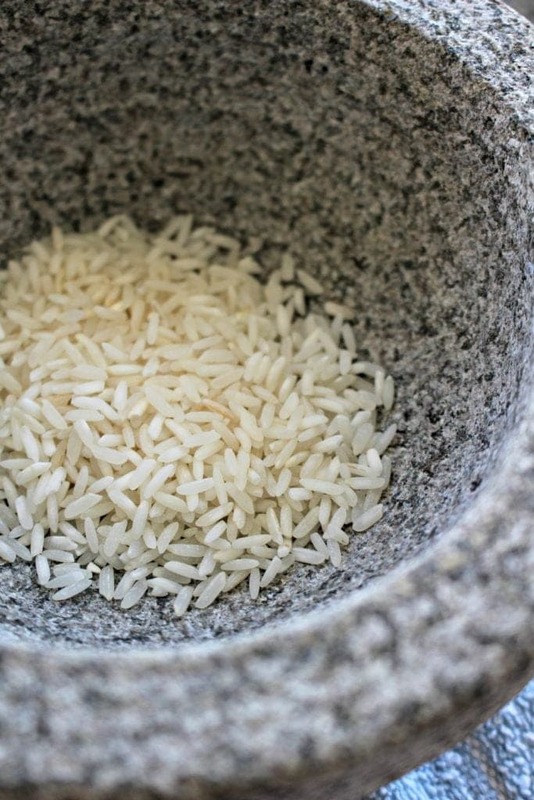 Once the rice is powdery, add a little water. Mix it up and do more grinding. Again, make sure to get the sides. It’s a side job, not your full time job. LOL. Rinse and repeat. This molcajete did not have a lot of dirt. Thank goodness!! Some are very, very dirty, and the rice will turn gray. If that’s the case, keep grinding until the rice is white and not gray. The volcanic basalt is porous. That means that it has little holes in it. 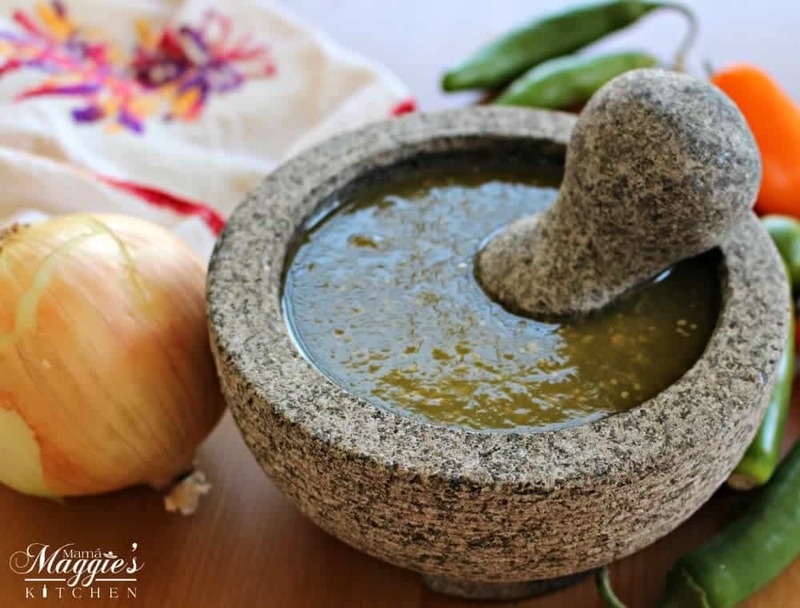 By seasoning a molcajete with garlic, you’re doing two awesome things – curing it and adding flavor. Win. Win. 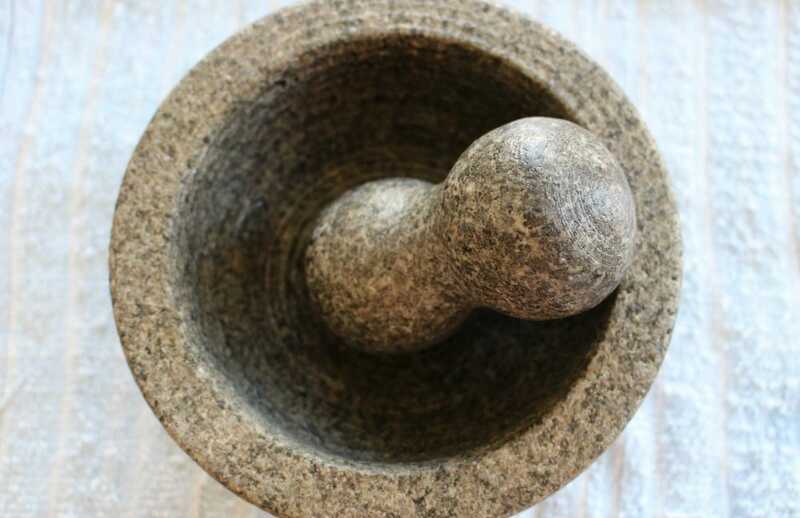 Don’t forget to turn the pestle and use the other side. 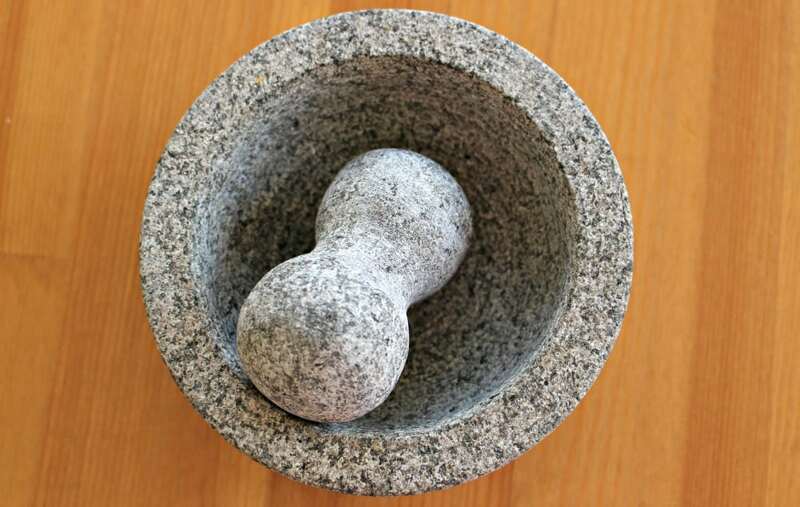 The pestle is made of the same volcanic basalt and also needs to be seasoned. Add some more rice to the garlic and keep going. Now add some water. 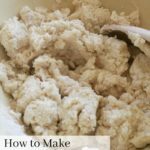 The water helps in creating a paste. If the paste is murky and gray, repeat this step over and over again. I know. I know.. It can be a pain, but soooo worth it! NOTE: You might be tired of grinding at this point, but if it needs another round of grinding, do it! 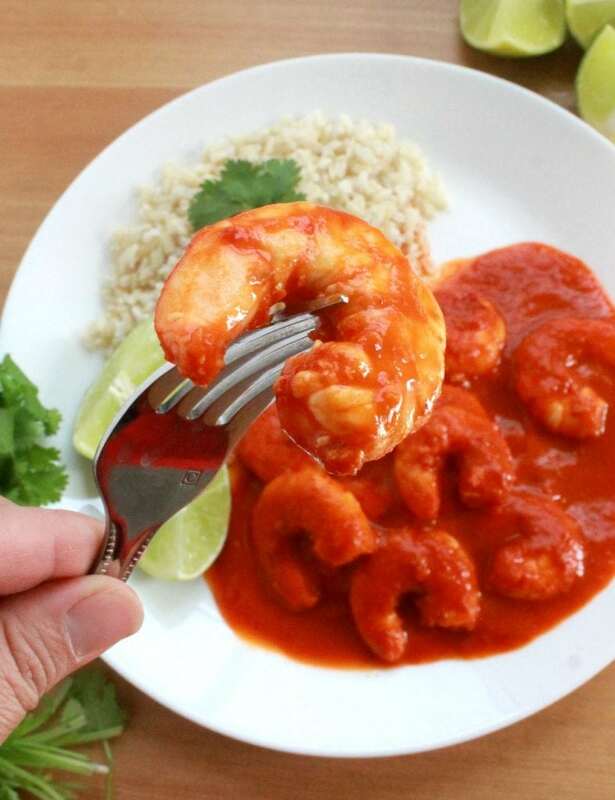 You don’t want to feed your family “volcanic” salsa. Talk about explosive food! Haha. See how it changed colors? This is exactly what you want! To season a molcajete is hard work. 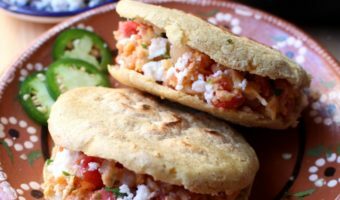 It’s a labor of love for good Mexican food. They also make great heirlooms that you can pass down from generation to generation. Happy Grinding! Grind until the rice is powdery. Add a few tablespoons of water to the molcajete. 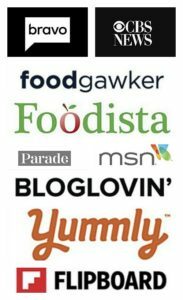 (Enough to create a paste). 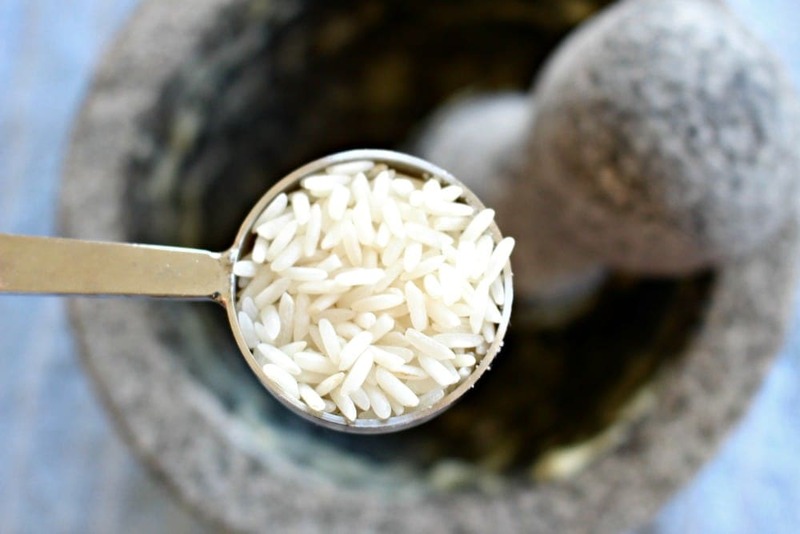 Using the mortar, mix the water and rice and grind the entire bowl. 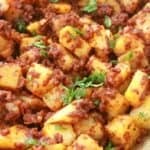 Make sure you also get the sides of the bowl. 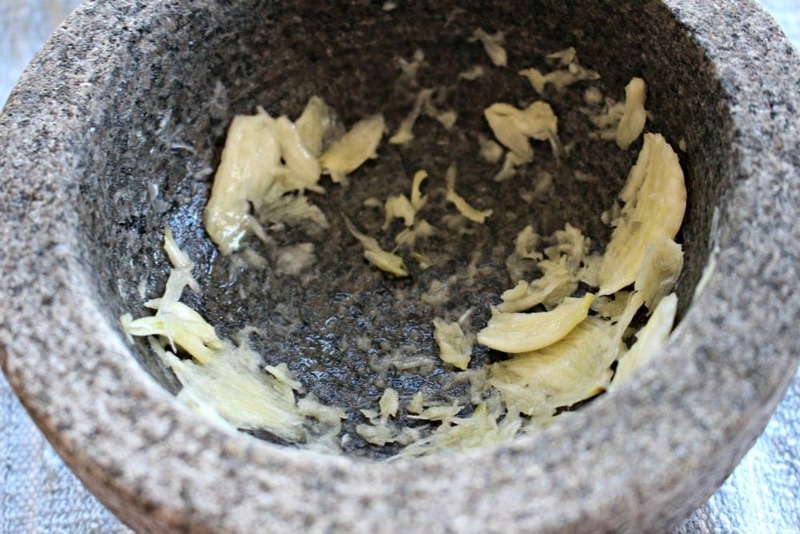 Add the garlic cloves to the molcajete. 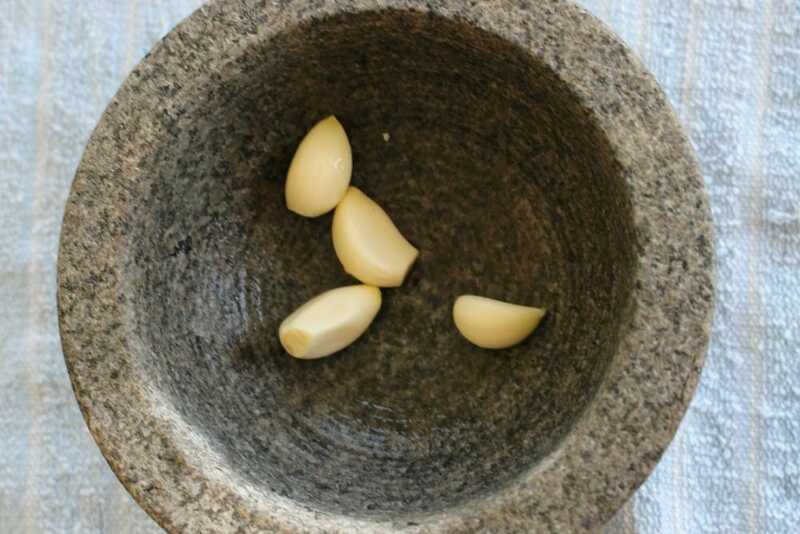 Grind the garlic with the mortar. Add the remaining rice to the molcajete. 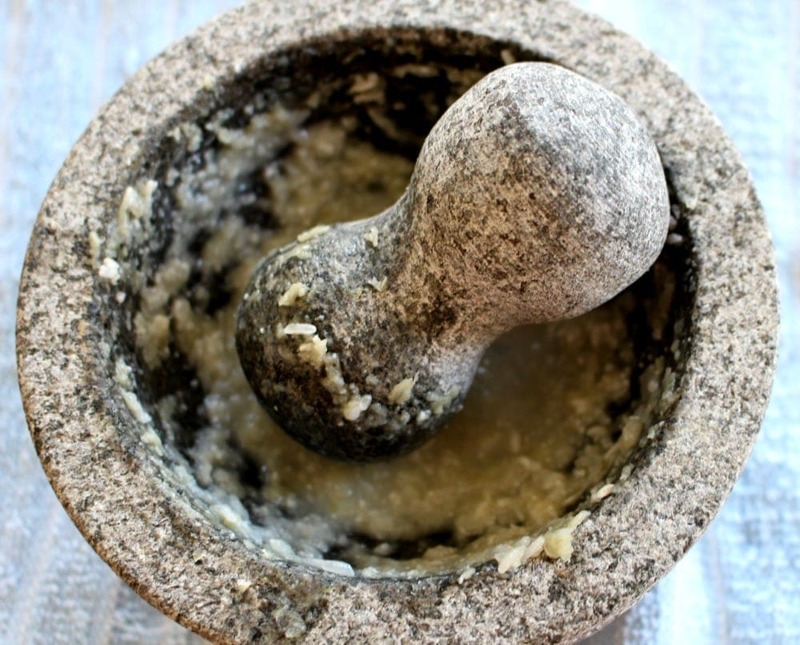 Grind to mix the rice and garlic to create a thick paste. Mix with the mortar and grind, scraping the sides. If the mixture is gray, rinse and repeat this step. If not, rinse and air dry. It will take 24 hours before it’s ready to use.